Which new car do you want? We get you the best price. No fees, no commitments. I am a new car dealer. I'd like to bid on a sale. How does Beat The Price work? It’s simple, click the REQUEST A NEW CAR button and select your ideal car from the drop-down menu. You can also call us on 0860 (277 423). 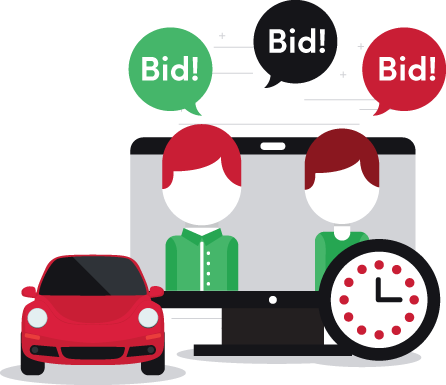 Once we receive and verify your request, we activate the auction process so that dealers can bid to give you the best price. Dealers have a number of days to submit their best deals before we close the auction and allocate a winning bid. 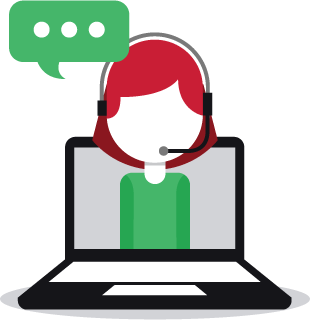 Once you have entered your details and selected a new car, one of our call centre operators will contact you to confirm your details and activate the auction process. 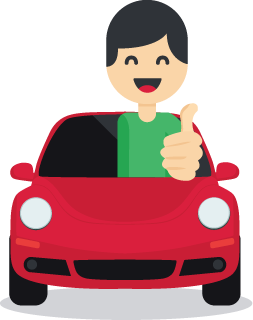 Your vehicle request is then sent to the dealers who commence bidding and compete to offer you the best price. To keep you in the loop you will receive a link to follow the auction process and review incoming bids. We don’t share your information during the auction period and will only provide the winning dealer with your information if you agree to proceed. The winning dealer will promptly make contact and you may then conclude your purchase and drive away knowing you received an excellent price, with good service! We helped Johan get a big discount on his new Datsun Go! Congratulations on your new car! Thank you Beat the Price, just when I was about to give up and get a second-hand, you came through. Congratulations to Miss Bereta M, who bought her Renault Duster 1.6 Dynamique through Beat The Price. We wish you many happy miles! A request for a Nissan NP200 1.6i (aircon) (petrol, manual) has been received. A request for a Ford Ranger 3.2 double cab Hi-Rider XLT auto (diesel, automatic) has been received. A request for a Kia Picanto 1.0 Start auto (petrol, automatic) has been received. A request for a Ford Fiesta 1.0T Trend auto (petrol, automatic) has been received. A request for a Hyundai Tucson 2.0 Elite (petrol, automatic) has been received. A request for a Hyundai Accent hatch 1.6 Fluid (petrol, manual) has been received. A request for a Hyundai i20 1.4 Fluid (petrol, manual) has been received. A request for a Volkswagen Polo Vivo hatch 1.6 Maxx (petrol, manual) has been received. A request for a Kia Sorento 2.2CRDi EX (diesel, automatic) has been received. A request for a Datsun Go 1.2 Mid (petrol, manual) has been received. A request for a Datsun Go+ 1.2 panel van (petrol, manual) has been received. A request for a Volkswagen Polo Vivo hatch 1.4 Comfortline (petrol, manual) has been activated for dealers to submit prices. A dealer submitted a new price for a Subaru WRX STi Premium (petrol, manual). A request for a Volkswagen Polo Vivo hatch 1.6 Highline (petrol, manual) has been activated for dealers to submit prices. A dealer submitted a new price for a Nissan Qashqai 1.2T Acenta auto (petrol, automatic). A dealer submitted a new price for a Audi S4 quattro (petrol, automatic). A request for a MINI Cooper Hatch 3-door (petrol, manual) has been received. A dealer submitted a new price for a Audi A3 Sportback 30TFSI (petrol, automatic). A request for a Fiat 500S TwinAir cabriolet (petrol, manual) has been activated for dealers to submit prices. A request for a Nissan Qashqai 1.2T Acenta auto (petrol, automatic) has been activated for dealers to submit prices. A request for a Volkswagen Polo Vivo hatch 1.6 Highline (petrol, manual) has been received. A finance application for a Audi A3 Sportback 30TFSI (petrol, automatic) has been approved. A request for a Volkswagen Golf 1.0TSI Comfortline R-Line (petrol, manual) has been activated for dealers to submit prices. A request for a Volkswagen Polo Vivo hatch 1.0TSI GT (petrol, manual) has been activated for dealers to submit prices. A request for a Volkswagen Polo Vivo hatch 1.4 Comfortline (petrol, manual) has been received. A request for a Toyota Hilux 2.4GD-6 double cab SRX auto (diesel, automatic) has been completed.